Train 18: The first train set will have 16 chair-car coaches -consisting of two executive chair cars and 14 non-executive chair cars. 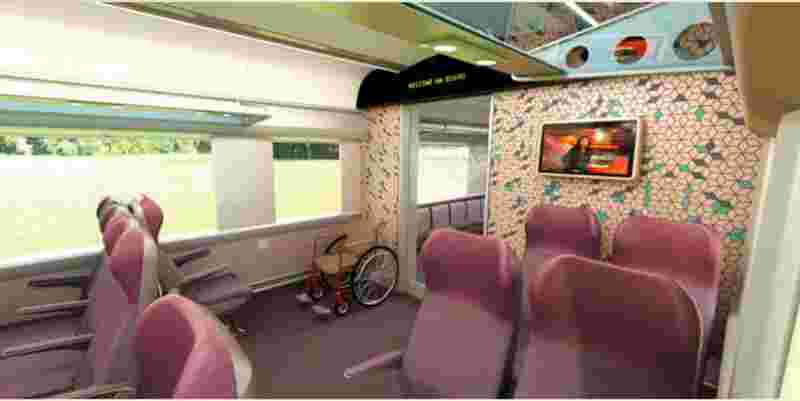 Train 18: The executive class coaches will have 360-degree rotatable chairs which can be aligned in the direction of the train. You will have to wait a little more for the most anticipated indigenously-built semi-high speed 'Train-18' which was expected to be put on trial this month by Indian Railways. The work on the train is taking its final shape and 80 to 90 per cent work is likely to get completed by the month end. 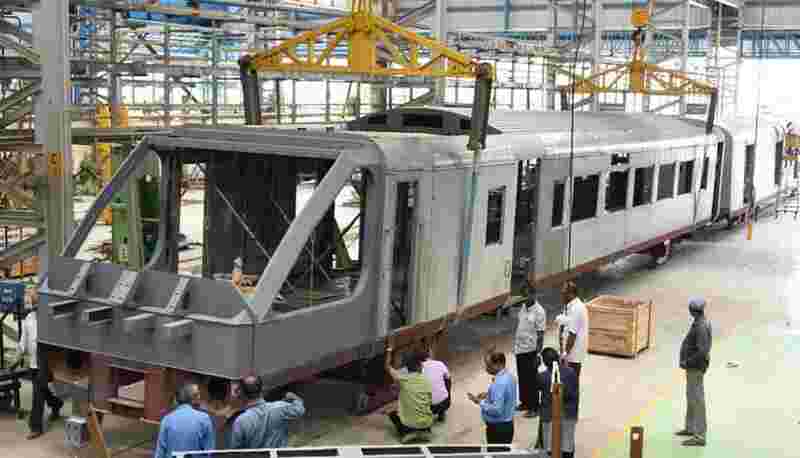 The train is being built by Integral Coach Factory Chennai. The cost of manufacturing one coach is around Rs 6.5 crore. The train will be a completely new concept for Indian Railways. ICF officials are expecting to roll out the first set of the luxury train for trial purposes around mid-October. However, you may be able to ride on it only by November if all things go well. The ICF is working simultaneously to get ready a total of 16 coaches of the Train-18. The first train set will have 16 chair-car coaches -consisting of two executive chair cars and 14 non-executive chair cars. For executive chair cars, the maximum seating capacity will be 56 passengers while those of non-executive will be 78. The train boasts state-of-the-art features and design with many firsts for Indian Railways. The ICF will be rolling out the train in a record time of around 20 months while it takes around three years to build such train anywhere in the world. The engine-less train is expected to replace the Shatabdi Express trains and the will be put on trial first. The first set of the Train-18 may replace Delhi-Bhopal Shatabdi Express. * Rotatable chairs: The executive class coaches will have 360-degree rotatable chairs which can be aligned in the direction of the train. * Self-propelled: T-18 is self-propelled on electric-traction and does not require an engine to pull it. * Coaches: Each train set will have 16 coaches. The coaches will have two class - Executive class and second class. * Fully AC: The train will be fully AC chair car with separate footrest for each seat. Even the driver's cabin is fully AC. The executive class chairs will be fully rotatable. * Advanced heating devices on board to provide better pantry food to the commuters. 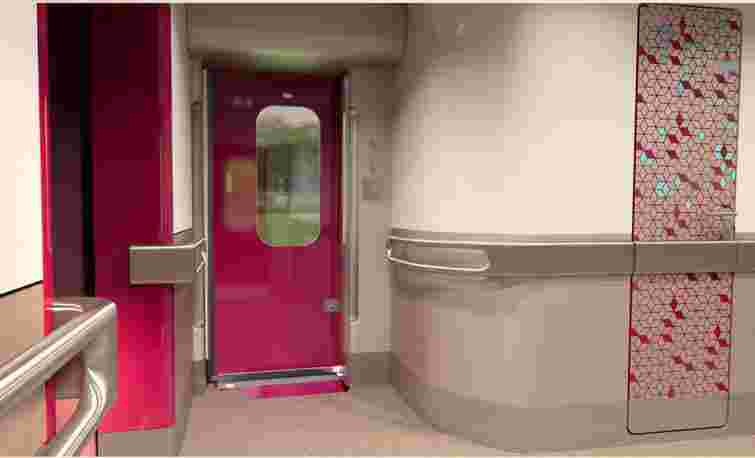 * Automatic Doors: The train will have automatic sliding doors for entry into one coach from other. The gangway will be fully sealed just like Metro trains. The entry doors also will be automatic and will have retractable footsteps. * Flooring: The train will have halogen-free rubber-on-rubber flooring. * Lights: The coaches are equipped with modern LED lights. * Windows: The train will have large glass windows with concealed roller blinders. * Luggage: All the coaches will have a luggage rack. * Interior: The interior of the train is not only luxurious but also well designed and uses an array of colours. * Disabled-friendly: There will be space for a wheelchair near the driving coach. There is space in every coach for the movement of the wheelchair. * WiFi: The train will have onboard WiFi and infotainment. * Modular toilet with bio-vacuum system. NEXT STORY: Railway's IRCON International IPO opens; Is it worth investing?